Jane Harty is an active and diverse recitalist of solo and chamber music repertoire, and has appeared in recitals throughout the United States as both a pianist and harpsichordist. Her teachers have included Blanche Bascourret de Gueraldi, a student of Cortot; and Johanna Graudan, a student of Schnabel. She was also a participant in the classes of Nadia Boulanger. As the Artistic Director of the Music Northwest Concert Series in Seattle, she has enjoyed many diverse collaborations with members of the Seattle Symphony, Northwest Sinfonietta, blues, jazz and world musicians. 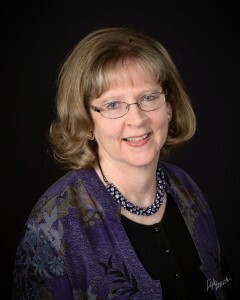 A champion of new music, she has commissioned several new works for piano from outstanding Northwest composers for several years. She also serves as the Director of the Music Northwest Chamber Music Camps, one for students and one for adults. Dr. Harty has served on the music faculty of Pacific Lutheran University since 1978 and has enjoyed training advanced pianists, chamber musicians, and music educators who have gone on to graduate studies in music at major universities throughout the United States. She is the grand-niece of Sir Hamilton Harty, the “Irish Toscanini,” and is a specialist in his songs and chamber music.